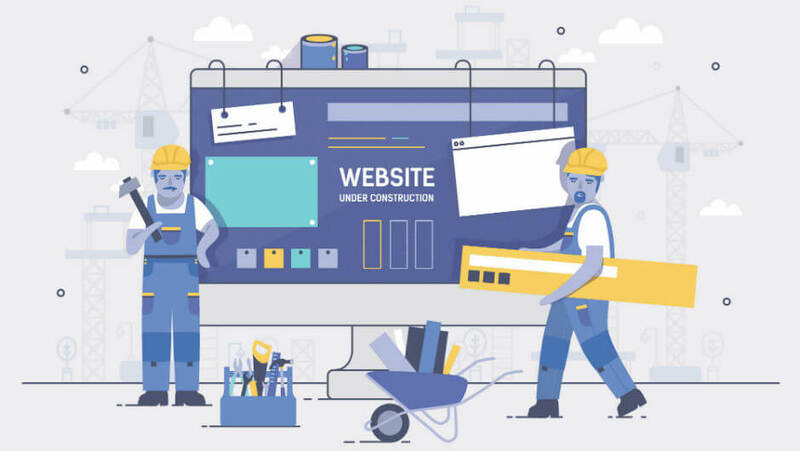 If you’re new to web design and have decided to build your website on your own, then you’ll need to find a web builder that will make the process easier for you. You also have to find a builder that will allow you to create a professional website that follows web design best practices. But with all the different tools on the market, it can be difficult to choose one, especially if you’re still unfamiliar with web design. In this article, we’re going to give you some of the features you should be looking for when picking a web builder. If this is your first website, you need a website building tool that is as intuitive as possible. The website builder from Webeden, for instance, will allow you to browse through a variety of ready-made templates for different industries. All you’ll have to do next is choose one, input your site information, create your user, and launch your site. You don’t need advanced HTML knowledge and your site will already be SEO optimised for you, which is another plus. The tool you use should have plenty of templates and they should look good no matter the platform. Google puts a lot of importance on the mobile experience, and if your site doesn’t use responsive design, then it won’t perform well in their search index. Check a few sites you like that are close to what you were looking for and see if the tool has similar templates. In addition to that, the tool you use should allow you to add some of your personality into the site and make modifications. You should be able to easily add pages, change colours and fonts, add pictures and elements, and change things like buttons and icons. The last thing you want is for your site to look like everyone else’s, so make sure that you choose a tool that will allow your brand to separate itself from the rest. If you’ve decided to do your web design yourself, chances are you’re operating on a tight budget. That’s why it’s essential that you use a tool that’s affordable. If all you’re looking for is a simple website, then there’s no need to break the bank yet. You should be able to find a good tool for under £20 per month and plenty of web building tools will offer a free trial for you to test the waters. In addition, these services will also include features you’d usually have to pay for out of pocket, so that’s another advantage of going with a package. You should also look for packages that will allow you to create multiple websites and add as many products as you need. You should also try to find a website builder with a solid image library. Stock images can easily run up your costs and are not always easy to find. Images will play a central role in your web design. Even if you have the greatest fonts and choose the right colours, your site will not look professional if you don’t have professional pictures. A web builder with a large selection of images will facilitate your task, make sure your site looks great, and will also ensure that they load fast so that your site’s performance isn’t affected. Finding a good website builder is essential if you have little experience and want to create a website that will represent your brand well. Make sure that you follow these simple tips if you want to find the perfect tool for you.